Hey there, blog friends! First off...let me apologize for not posting on day 1 of the release. Some things came up, and I just wasn't able to get it done. So sorry for that! 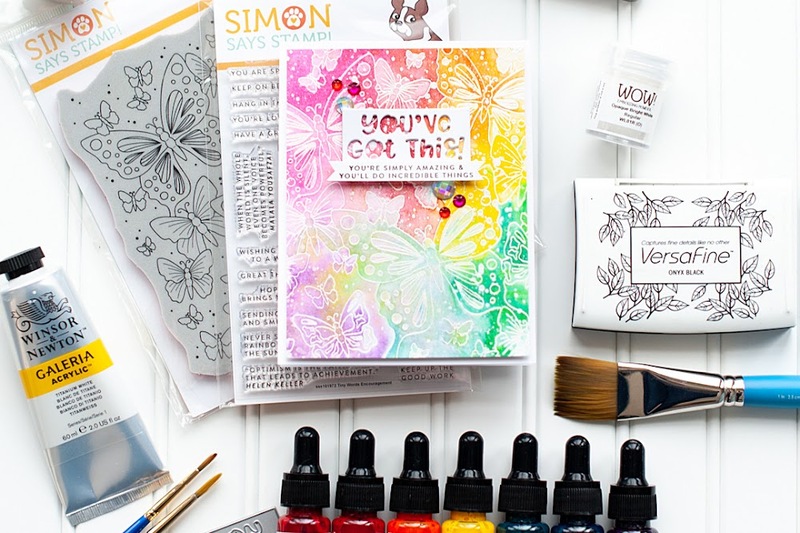 So, how about we get on with Lil Inkers August release day two!! Tonight I have a card with matching envelope to share with you!! 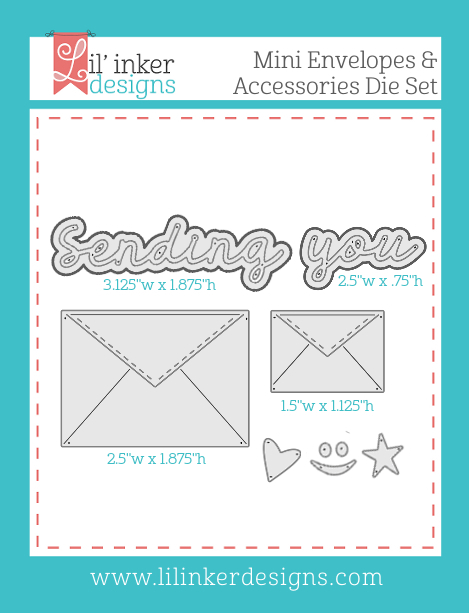 I've combined two of the new Lil Inker stamp sets, and two of the new dies to create it. Check it out! 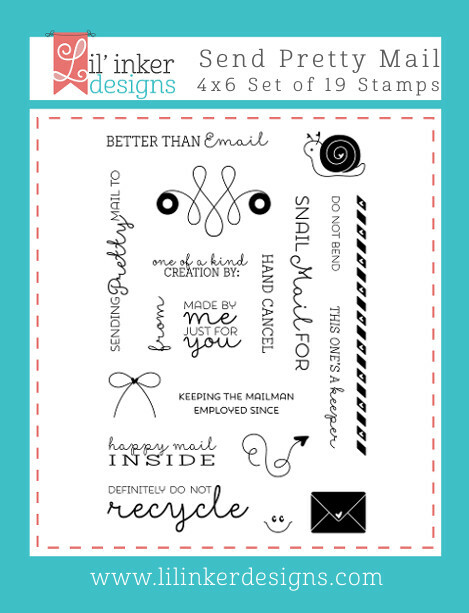 I don't know about you, but I just ADORE all the fonts that Laura used on these stamp sets. The script font is just amazing!!! 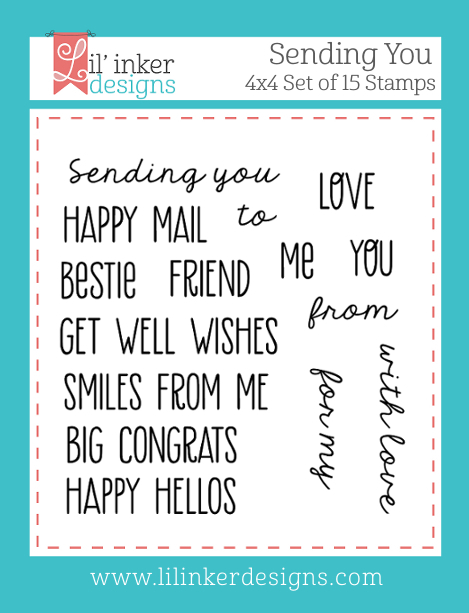 I hope for many more stamp sets using this font....hint, hint. 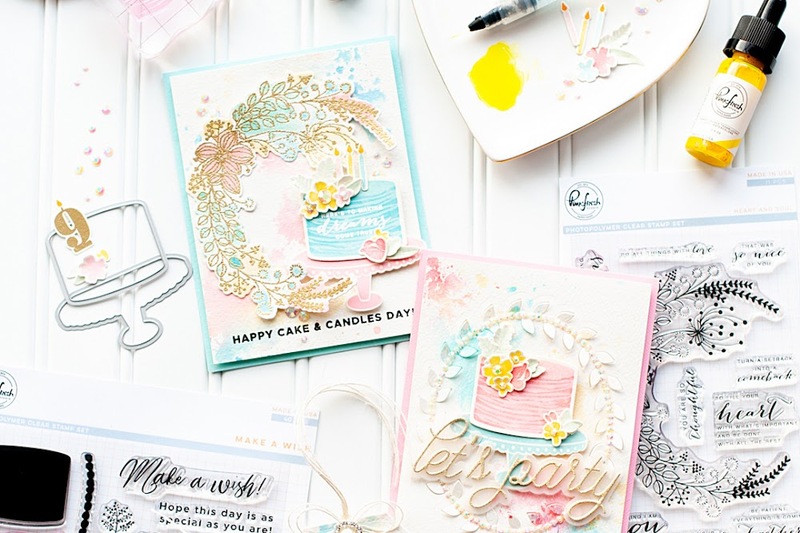 This month Lil' Inker Designs is celebrating our 4th birthday!!!!! To celebrate we have one more goodie we're releasing today as a bonus item! It's something you've been asking us for and what better way to celebrate our fourth year of fun than with a goodie especially for you our lovely, amazing and supportive customers and friends! My friends I give you Stitched Mats: Rounded Rectangles! This is a follow up release to our wildly popular Stitched Mats: Rectangles. 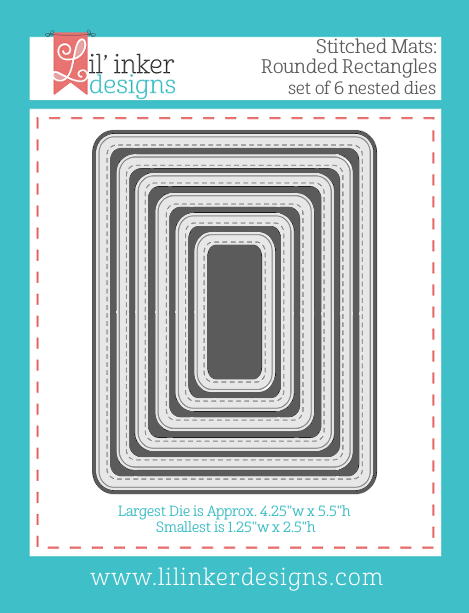 You'll receive a set of 6 individual nested dies on a magnetic sheet for easy storage and each die in this set cuts a rounded rectangle (which is a bit different from our original set because the largest die in our original set only cut a stitched border). If you love our original set or have been waiting for a rounded set, now's the time!! Thank you for four amazing and fun years! This one has been a big one so far with the release our our rebranding and a brand new website. I've been one busy lady and we've been one busy team!!! And we have such an amazing team of designers. Thank you to all of you for making our goodies shine!! As always, comment on the designers blog posts. You'll be in the running to win one of three $15 store credits and this being a somewhat special release we're giving away a set of our brand new Stitched Mats: Rounded Rectangles to one lucky winner!! You have through Monday, September 1st at 11:30 PM EST to comment to be eligible to win one of these prizes! Thanks for checking out my post tonight....I will be back for the day 3 release with some super fun Halloween projects!! You're right, that font is awesome!!! Love the new dies too! Love those little envelopes! Sweet card! Oh how fun your card is. SUPER CUTE card & envelope Lea!!! 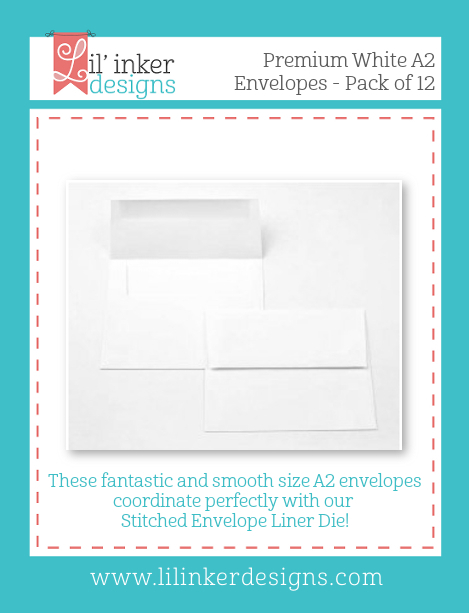 LOVE the ELEGANT design & the fabulous little envelopes, LOVE the white, Kraft & red combo too!!! Very cute! Love this color combo and the matching envelope! Love the classic simple look of this card..can't wait to get the envelope liner! Very clean and crisp I love it! Great job! Love the red background, it really helps it stand out! So classic and totally cute! Lovin' that envelope liner too! Such a cute and clean card!! I like the CAS design, the lined envelope and the use of kraft. Love that the envelopes on the card match the insert of the envelope. Great projects. I absolutely love this card and coordinating envelope. 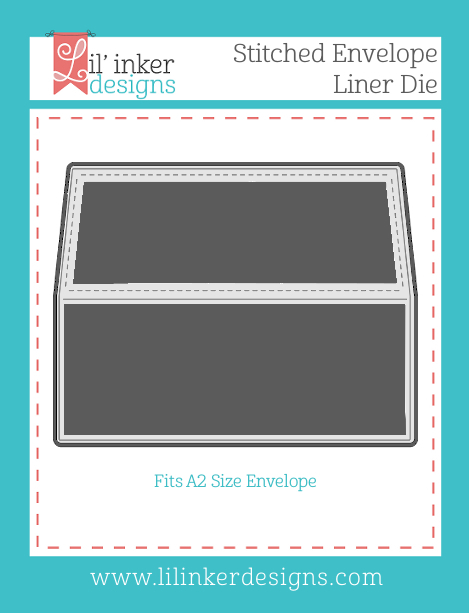 The kraft cardstock makes a lovely envelope liner! So CAS and sweet! Wonderful card! This is a fun and original idea! These little envelopes look adorable hanging on the line. Love this card! Love love your card. 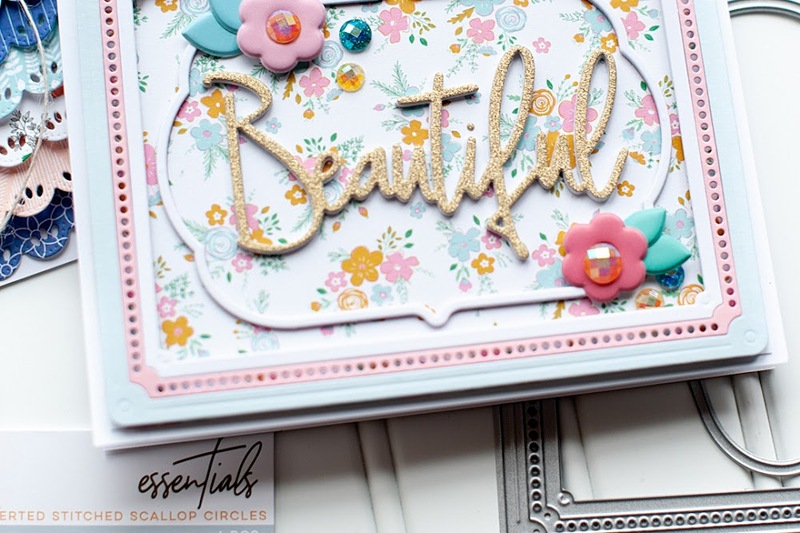 I adore working with Kraft color and your card won me over. It's CAS and shouts fun and professional. 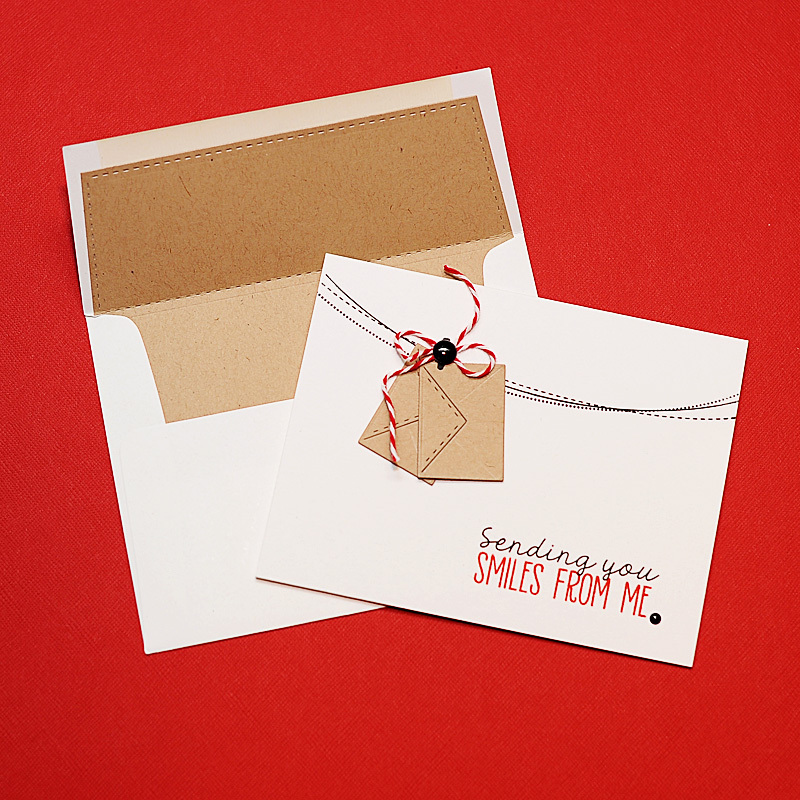 Love the kraft, white and red combo and those little envelopes hanging on the lines are adorable! 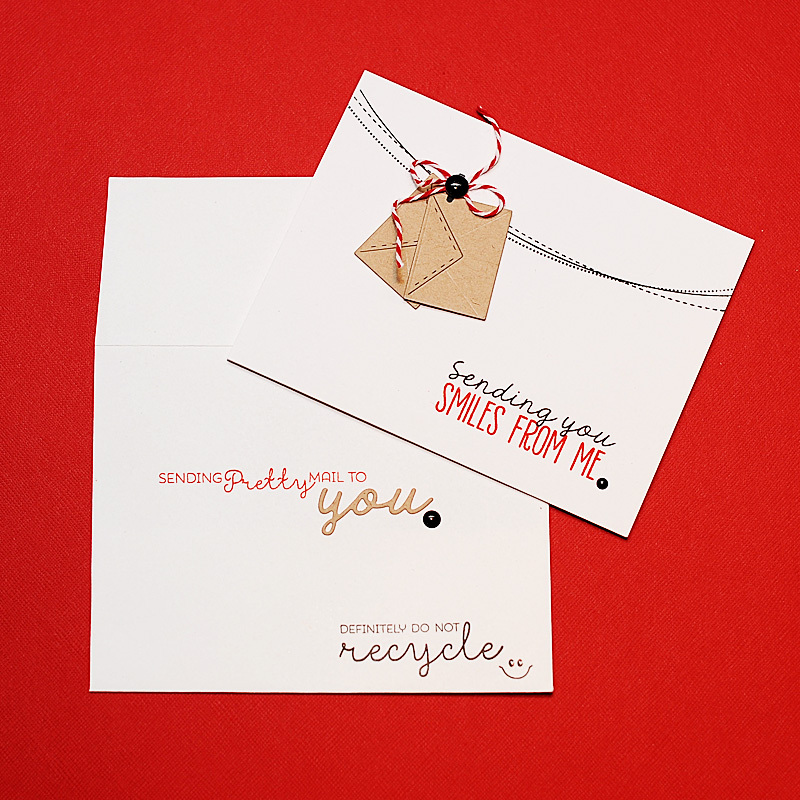 SO CUTE - love those little kraft envelopes! love your projects...these dies are awesome! love the kraft....really makes the die pop!!! Cute, cute, cute! Love how you tied the envelopes onto the line! Fun! Kraft paper and red and white twine. Simplistically cute. Okay............is that a word? Anyway, it's cute.